Today I’m taking a little field trip and doing a bit of experimenting with the golden hour. This is a time of day that occurs just after sunrise and just before sunset each day, when the sun is low on the horizon and the light is softer, dispersed, and less blue (thus, “golden”). It is an ideal time of day for photographers, because the effect of the light means everything, and contending with the hard and dramatic light and shadow of a full sunlit day is never easy. Filmmakers especially love this period and usually refer to it as the magic hour. It doesn’t usually last for an hour, in a literal sense. According to a “Golden Hour Calculator” that I found online, today’s second golden hour is supposed to last from 4:28pm to 5:04pm (sunset), a period of 36 minutes. I don’t know how accurate that chart is. I found it on the website of some German photographer. It seems pretty sciency, which means I barely understand it, so that’s a good sign. And he’s German, and their trains run on like, second hand accuracy, so that’s a thing. Anyway, I found it on the internet, so it must be true. 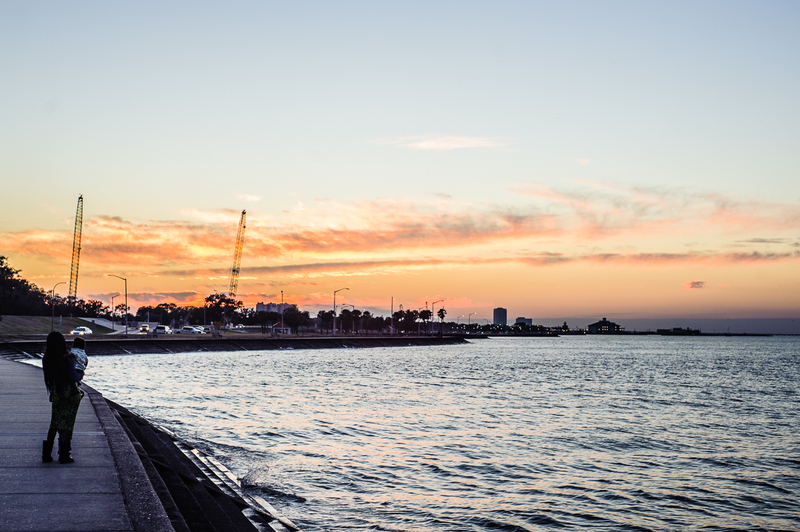 I’m going to drive up to Lakeview and do some shooting there, and since that is the lowest part of New Orleans (below sea level), it might elongate the golden hour a little bit. We shall see. Okay, so I made my little trek to try and capture some good examples of golden hour shots, and in many respects, I failed. I did manage to grab a couple of decent shots, but what I really wanted was to get more shots from the shores of Lake Pontchartrain, and unfortunately, due to some traffic and my own navigational incompetence, I arrived mostly too late. “Ladder Reflections” Treme, 12/14/2014. Format: digital via DSLR. I took this shot while cruising up Elysian Fields Avenue, at about 4:32pm, right at the beginning of my 36 minute window. It’s a pretty good example of how that low sun casts a soft, glowy quality. Sometimes you want the subtle, soft and dispersed light without the dramatic color. 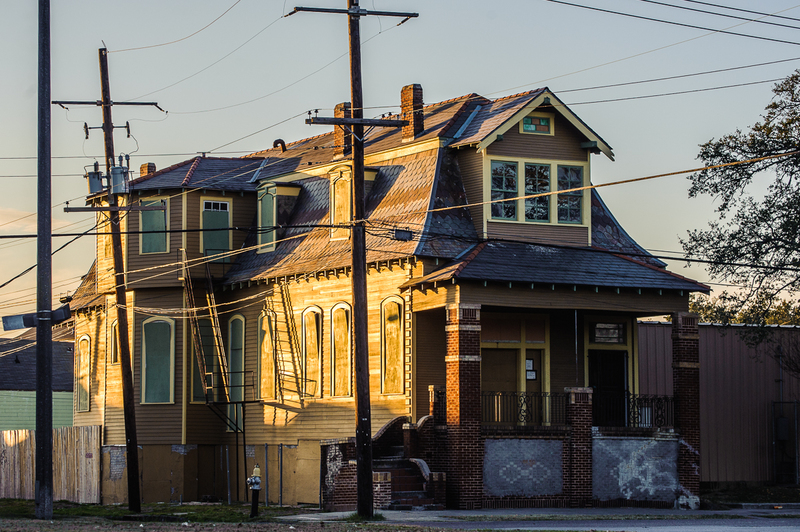 This look punctuates the golden hour, washing a yellow house in golden light. “Lakeside, Approaching Sunset” Gentilly, 12/14/2014. Format: digital via DSLR. This was taken at around 4:50pm. Again, not a bad example of that soft glow, but a little too close to dusk for my tastes. I wasn’t really trying to cheat by showing you a pretty sunset. I wanted to show how that glow falls over everything in the foreground as well. And if I wasn’t going for pretty sunsets, then I really failed on the last shot. 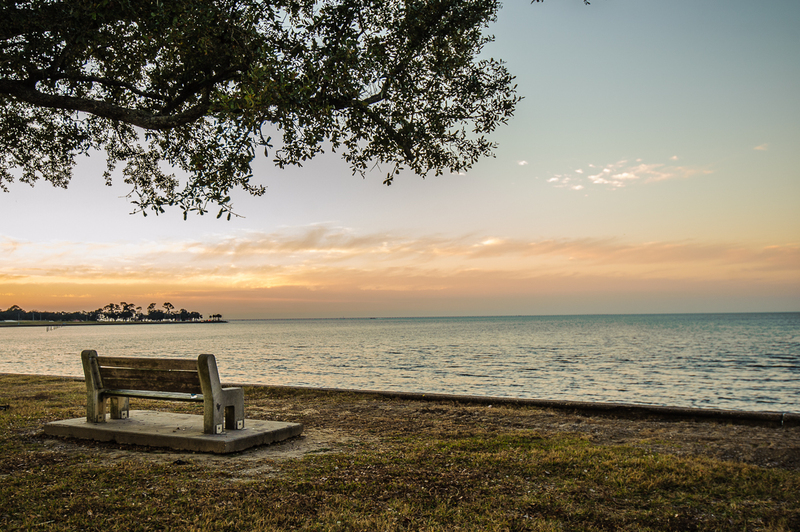 “Lakeshore Drive at Dusk” Lakeview, 12/14/2014. Format: digital via DSLR. This was taken at around 5:15pm, well outside the window of the official “golden hour” as indicated on the official calculator found on that German website, which, as it turns out, was pretty bang on. This is, for all intents and purposes, not the golden hour. This is a sunset. Though I didn’t exactly get the results I was hoping for, one thing I did was illustrate just how tricky and elusive is the magic hour. Next time you hear a photographer or filmmaker talking about trying to capture that essence, you will notice a kind of excitement mixed with trepidation, because the time that it is available makes up the tiniest percentage of minutes in a day, and on some days it is nonexistent, sabotaged by clouds or rainy weather. The movie Field of Dreams makes terrific use of this approach, and director Terrence Malick is downright famous for it. The quality of the results is worth the chase, because though the pursuit is difficult and fleeting, the results can be….well, magical.